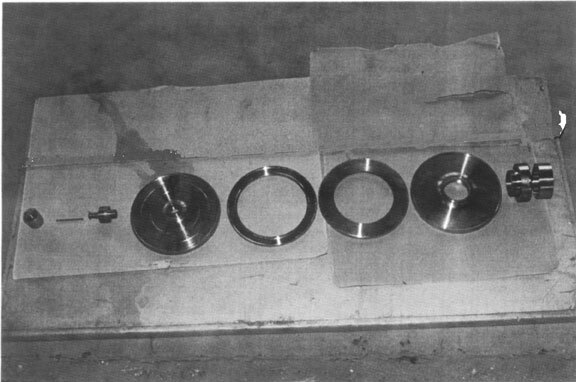 Several components of a centrifuge rotor. From right to left -- the upper bearing magnet housings or holders, top cap, top baffle, lower baffle, bottom end cap, pin and ball, and cup to hold the pin (made by Karl Heinz Schaab). Except for the cup and the pin and ball, these components were made by Schaublin.